Leanne and Chloe really took great care with my hair. Couldn't have asked for a better experience. A wonderful haircut as always, with an added extra volume treatment which has made my fine hair extra bouncy and full of oomph! Thank you once again Tanya. The team at Mane are brilliant and have as ever, transformed my unruly barnet into a sleek glamourous bob. The colour looks great - perfect combo of low lights and (shh) grey coverage. Soooooo happy with my recent trip to MANE. My colour thanks to Chloe is fabulous, I was feeling a little nervous about changing the colour of my hair and she was so supportive and understanding of what I wanted, I am really really happy with the colour! My cut by Sadie was amazing! She helped me acheive the messy bob I was after. Love it!! A really lovely and friendly salon, great products and talented staff! Thanks Sadie and Leanne, great colour, great cut as always. Another visit to Mane and once again I'm thrilled with the results, Leanne and Jack have done a phenomenal job with my colour and cut. I wouldn't go anywhere else. Best experience ever!! have never enjoyed the hairdresser experience before. Gemma picked up my call and dealt with my Enquiry efficiently and professionally. I was amazed she knew my hair wasn't dyed or treated and picked up my personality in a very positive way. I am really happy with my cut and blow dry. I would definitely recommend Gemma. I honestly could not recommend this salon enough. After calling them the day of for an emergency appointment due to a disaster of an attempt to fix my gone wrong hair they were amazing to say the least. They managed to squeeze me into an already full booked day with ease. When I arrived I don't think any of the ladies were expecting my hair to be as violently horrendous as it was. They clubbed together and tackled it head on. They have a warming welcome were nothing is to much trouble. Even letting me use their phone as mine was out of battery. Needless to say at the end of my appointment I walked out of the salon a new women inside and out. Certainly not the blubbering mess I walked in as. I will definitely be returning. The Cappuccino is enough to go back for in it self. 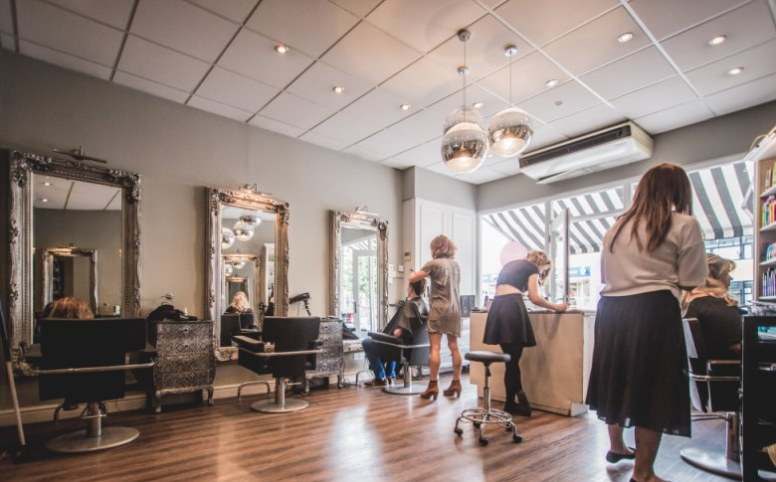 I've been going to Mane for over a decade, it's a friendly, comfortable environment with just the right mix of energy, customer focus and relaxed atmosphere. The staff really listen when you have specific requirements but are equally happy to guide you when you're not quite sure what you want. I have previously tried many salons in Bristol but so glad I found Sadie at Mane, she is brilliant would not want to go anywhere else. The best salon that I have ever been to. Just had a fabulous cut with senior stylist Sadie and amazing highlights with Angel. I've had so many positive comments about my hair since coming here and have absolute confidence in their ability. I would recommend them to anyone.Great team work Mane! I've been going to Mane since they opened in the early 2000s and the 'super Sadie' has been doing my hair since then. I wouldn't go anywhere else! Today I had Angel colour my hair, with a blow dry from Jack (Sadie is always busy if you don't book in advance!). Both were, as you would expect from Mane, fabulous! The team are always welcoming and every aspect excellent.